Miranda Green: Trade wars are absorbing all the attention in both Washington and Beijing. 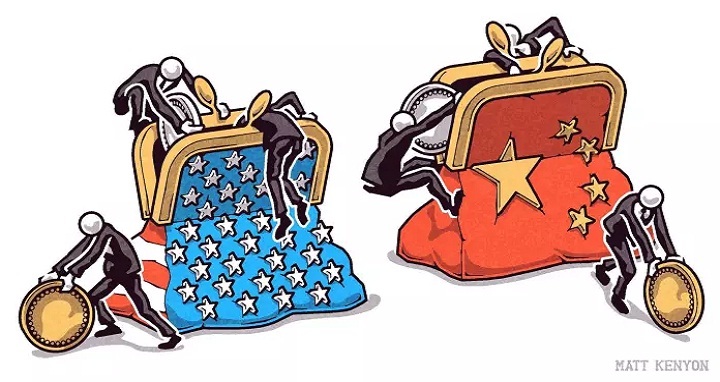 But Rana Foroohar writes that the Chinese believe the US inability to curb its elites will be the country's downfall. By contrast, the Chinese president has shown determination to clamp down on the princelings. Whatever your view of the legitimacy of mass arrests and seizure of assets, the goal of heading off popular anger about the unequal division of economic spoils (and promoting economic development) is the right one, Rana believes. And the US also must find a way to control its moneyed and privileged class. Jennifer Dixon of the Health Foundation argues that the NHS will be the test bed for how other global health systems adapt to rapidly rising and multiplying demands.